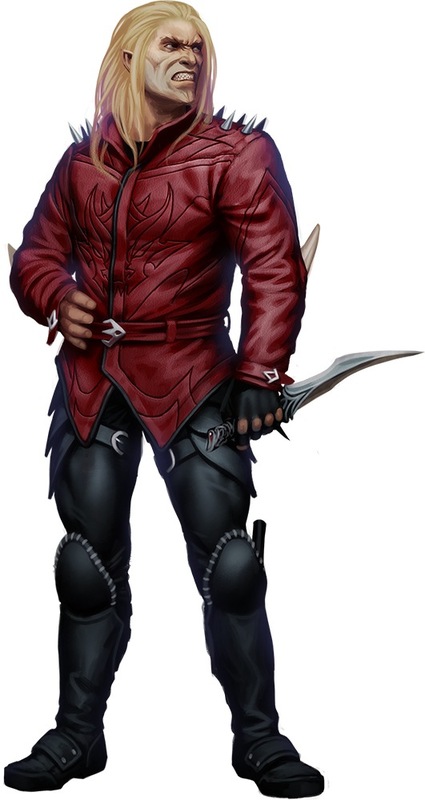 While it isn’t the jacket he’s wearing in the accompanying sample chapter, check out the latest incarnation of Radovan, complete with spiffy new leathers. This entry was posted in Writing and tagged King of Chaos, Pathfinder Tales by Dave Gross. Bookmark the permalink. We’ve talked about “anachronism”– a useless useful word in fantasy– but it makes me wonder, does Golarion have…snaps? Western snap fasteners didn’t exist till the mid 1800s, but the Chinese had ’em BCE. Maybe Radovan just needs tear away stripper clothes? The Count created velcro ages ago. Well Rad has been in the equivalent of Asia, and there is the ‘old west’ area not too far away, as well. Snaps wouldn’t be unheard of. I think I addressed the unique design of the upper sleeves in one of the shorter stories.